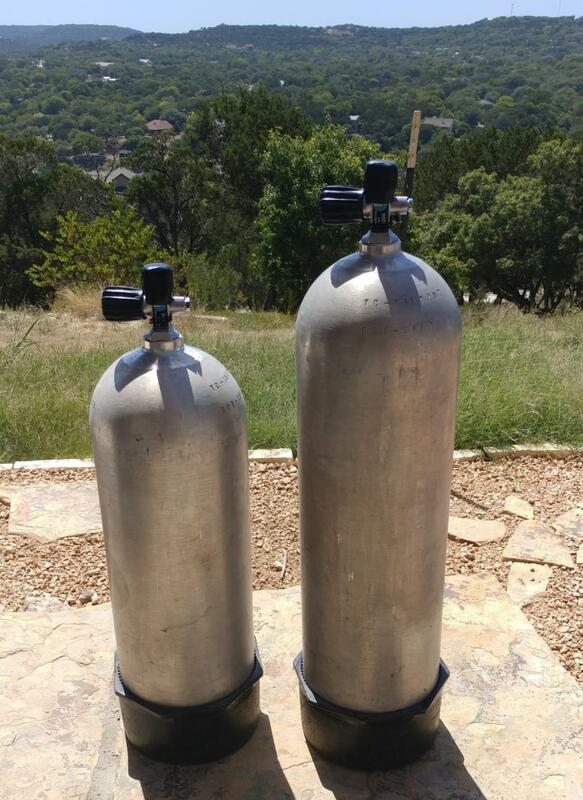 I have two aluminum Luxfer scuba tanks for sale. One is 80 cu/ft, the other is a 63 cu/ft (perfect for someone smaller). Both just passed hydro and viz in June 2018 and have new o-rings and full air. Both are in great condition. Tank boots and valve caps included. I live in North West Austin, TX. I will take $110 for the 80, and $100 for the 63.